The first Coachmen RV was built in 1964, when brothers Tom, Keith and Claude Corson founded the company. Coachmen RV's business philosophy is based on simple principles. The brothers' actions are guided by four main concepts. First, they abide by the Golden Rule. Second, Coachmen products are dedicated to the enrichment of life. Third, their word is good. Fourth, the siblings believe that "Business goes where it is invited and stays where it is well cared for." Now a subsidiary of Coachmen Industries, Inc., the Coachmen RV company began in a 5,000 square foot plant in Middlebury, Indiana. During its first year of business, the company produced 12 travel trailers, one truck camper and 80 truck caps. The company has grown to an annual production level of nearly 600,000 recreational vehicles of various types and sizes. In addition to facilities in Middlebury, the company also manufactures out of Fitzgerald, Georgia. With all property included, the company occupies nearly 700,000 square feet of manufacturing space on nearly 120 acres. Employing over 1,600 workers, the company can produce 15,000 RVs within one year. Coachmen RV capitalizes on the fact that life should be easy, and that their product makes life easier. They use the phrases, "Easy to Use," "Easy to Own" and "Rest Easy" in their marketing efforts. Coachmen promises that when you buy one of their RVs or campers, life will be easier. Their designs include a variety of floor plans, ample storage and convenient elements. The company's goal is to make the camping experience easier and more pleasurable for their consumers. Coachmen stresses that the company will be there to help out in any way their customers need. The company says that it is committed to customer satisfaction. Dealers are empowered to help buyers and to make the purchase experience free from hassle and red tape. Coachmen RV guarantees that service and repair is just around the corner with hundreds of dealers throughout the United States. The company's online support service offers tips for troubleshooting, dealer locations, maintenance information, warranty coverage and access to a Coachmen service representative. This same information is available via a toll-free phone number (800-453-6064). The quality with which Coachmen builds RVs is enough to give customers the ability to rest assured that their RV is going to weather the years. 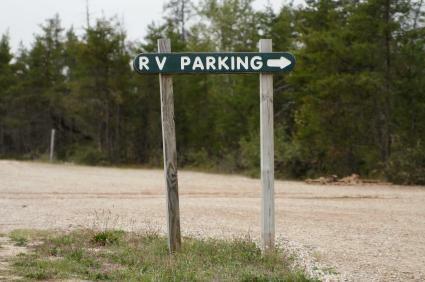 The quality of products used to make the RV is of the highest quality. Coachmen RVs are designed to eliminate or minimize problems wiht water leaks. The design of their RVs increase safety due to improved visibility and security enhancements. The craftsmanship and attention to detail make this company's RVs top of the line. Coachmen offers a wide line of products including Class A and Class C motorhomes, travel trailers, fifth wheels with and without slideouts and folding camping trailers. The Coachmen RV Group is represented by a variety of names including Georgie Boy, Adrenaline, Coachmen, Sportscoach and Viking. Coachmen Industries, Inc., includes a variety of business operations in addition to the RV business. The Coachmen Housing Group includes All American Homes, LLC and Mod-U-Kraf Homes, LLC. Combined, these two companies are one of the country's most prominent builders of systems-built homes. Condominiums, dormitories, apartments and hotels are built by All American Building Systems, LLC, also a subsidiary of Coachmen Industries, Inc. Coachmen Industries is a publicly held company and is listed as COA on the New York Stock Exchange. Coachmen RV certainly has a lot to offer campers, who can choose among a wide variety of recreational vehicle products ranging from basic models to very elaborate RV selections. Dealer locations can be found easily by visiting the Coachmen RV website.